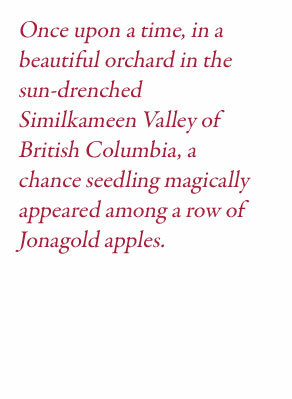 Once upon a time, in a beautiful orchard in the sun-drenched Similkameen Valley of British Columbia, a chance seedling magically appeared among a row of Jonagold apples. 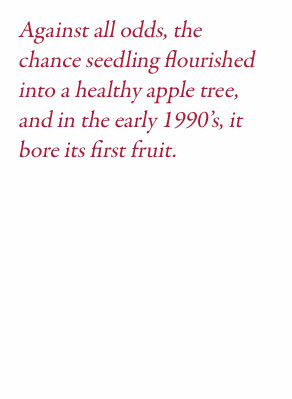 Against all odds, the chance seedling flourished into a beautiful, healthy apple tree, and in the early 1990s it bore its first fruit. 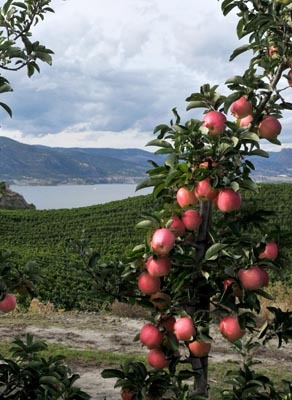 The apples were so attractive and delicious that pickers working in the orchard stripped the sapling clean and ate all the fruit. 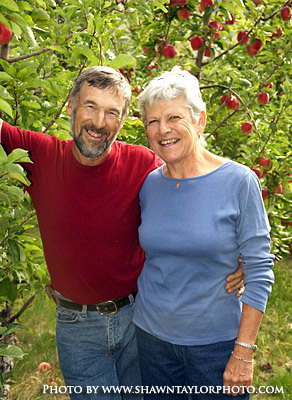 The Mennell family, who owned the orchard, decided to produce more of the fruit. 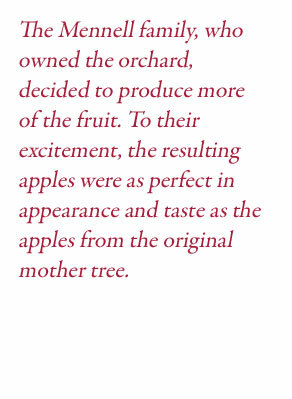 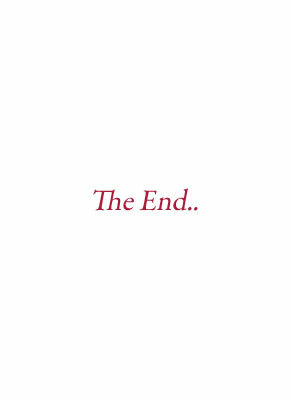 To their excitement, the resulting apples were as perfect in appearance and taste as the apples from the original mother tree. 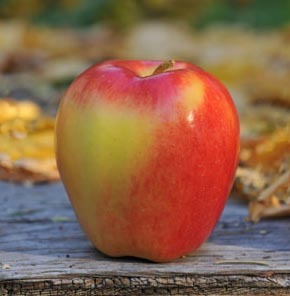 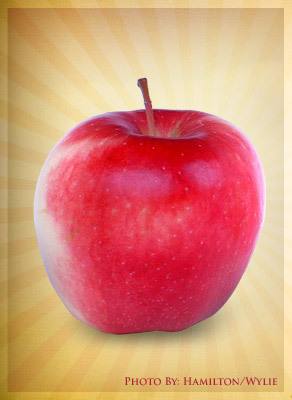 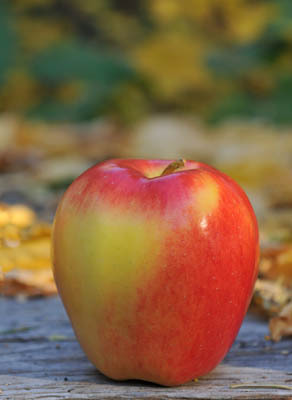 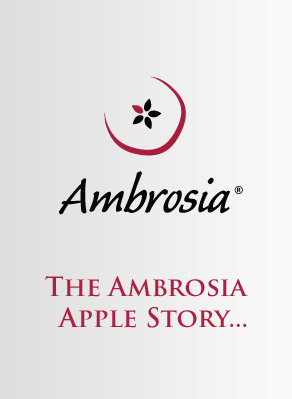 The Mennells named the bi-coloured apple variety “Ambrosia”, which in Greek mythology means “food of the gods”. 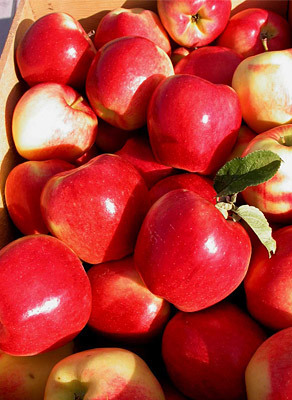 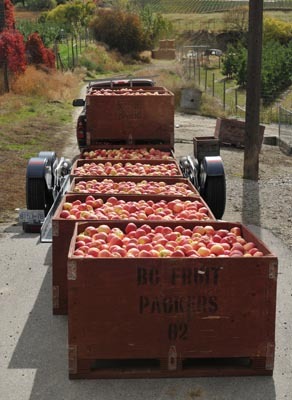 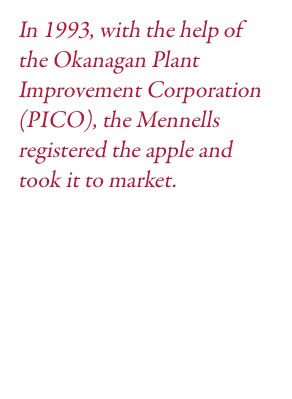 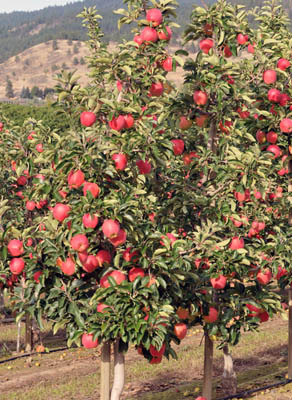 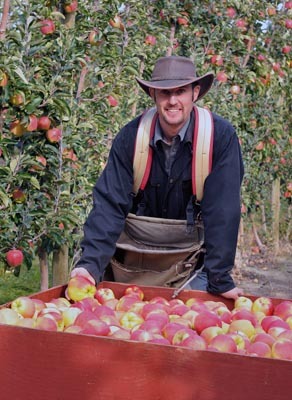 In 1993, with the help of the Summerland Varieties Corp., (formerly PICO – Okanagan Plant Improvement Corporation), the Mennells registered the new variety of apple and took it to market. 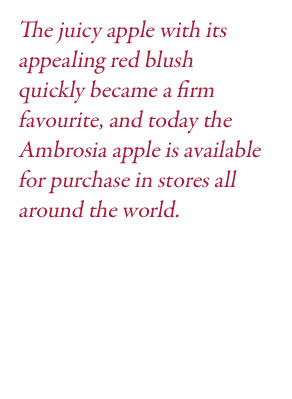 The juicy Ambrosia apple with its appealing red blush quickly became a firm favourite with apple lovers, and today the Ambrosia apple is available for purchase in stores all around the world.